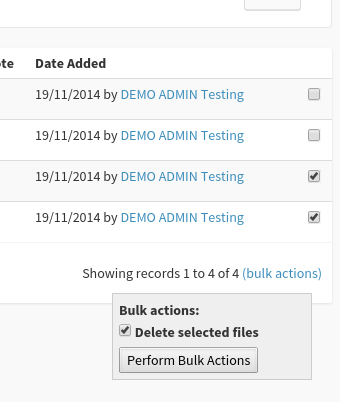 Click the little checkbox and then click "bulk actions" for the option to remove files. When a file is uploaded to the main "Files" area (or the "Files" area under a "Customer") an email alert is sent out to certain people. To control who receives these file upload alerts please tick the "Receive File Upload Alerts" box in the users role (Settings > User Roles). 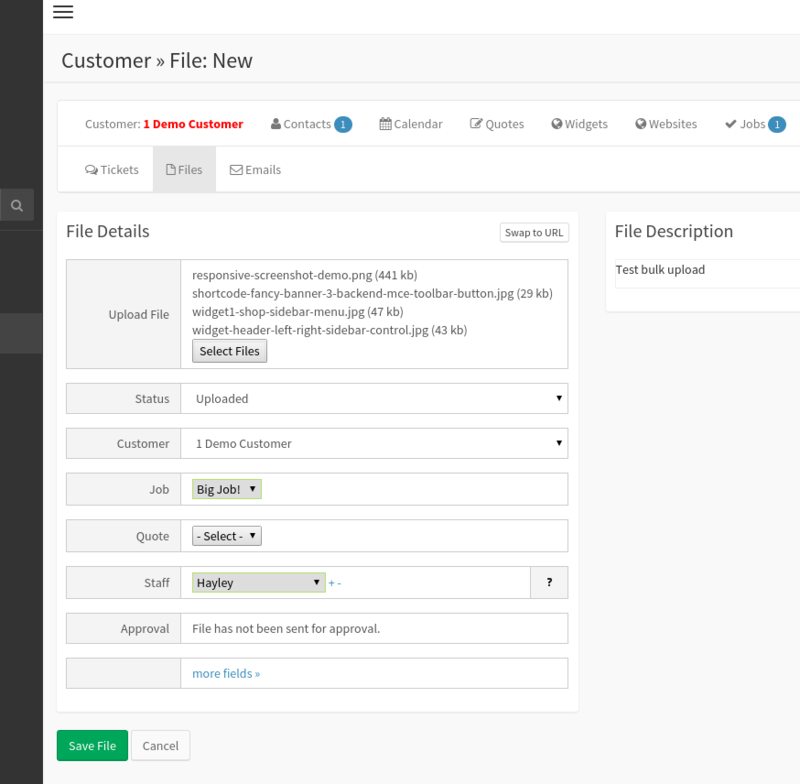 If a "Customer Contact" has been given this User Role then they will only receive notifications when files are uploaded within their Customer account (not other Customers). 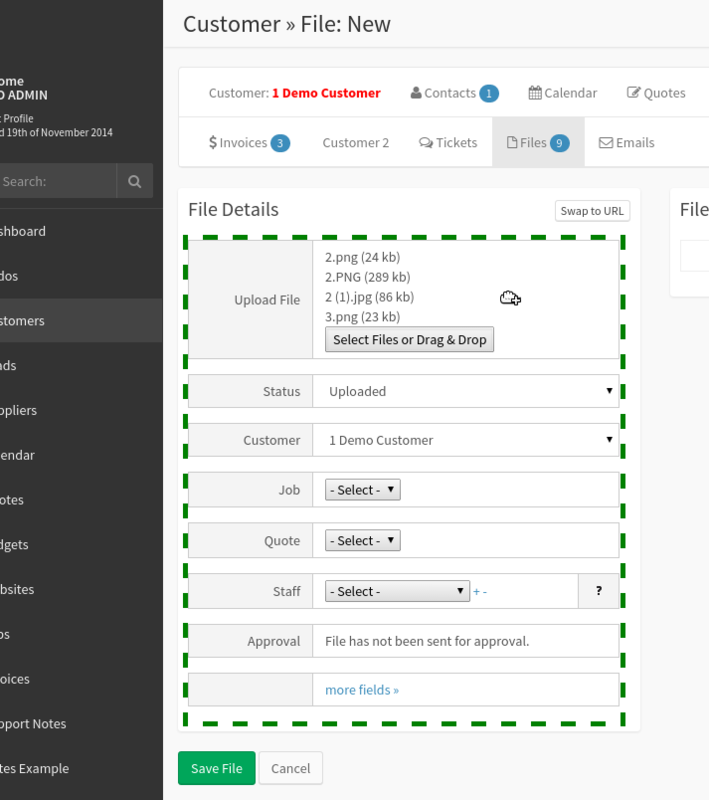 If a "System User" has been given this User Role then they will receive notifications for all file uploads through the system, no matter what Customer the file has been uploaded to. The email which is sent to the users is controlled from Settings > Templates > "file_upload_alert_email"
Note: at the moment file upload alerts are NOT sent to the main Administrator account (user ID #1) because this user cannot have a "User Role". Please create a secondary administrator account and choose the "Receive File Upload Alerts" option from User Roles if you wish to receive alerts as well. If the advanced setting "file_upload_alerts" is set to 1 then any file alert emails (as above) will also show on the users dashboard when they login. 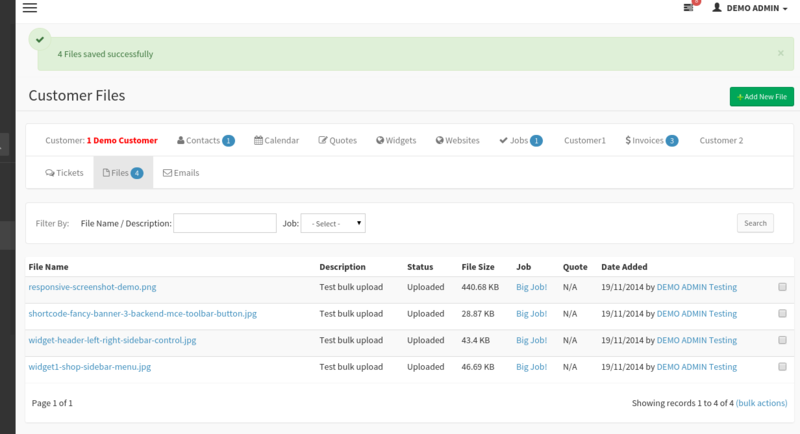 The alerts will stay on the dashboard until the user views the file.